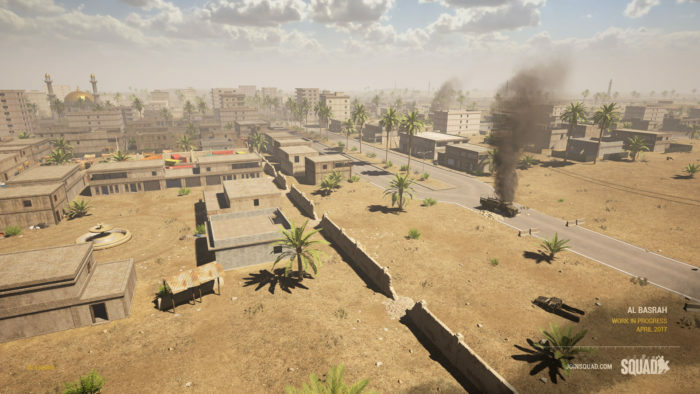 Free Weekend + Alpha 9.2 Release : Squad – Communicate. Coordinate. Conquer. It’s fragging time! Get your helmets dusted off, boots on the ground and be ready to welcome the masses as we ship our free weekend patch to the community in anticipation of the free weekend which will be launching Thursday 6th April at 10 AM PST. And don’t forget Squad and it’s soundtrack will also be 50% off for the duration of the free weekend and our Squad merchandise will be 30% off! No more wasted loading times. No longer loading to see “Server is full”. 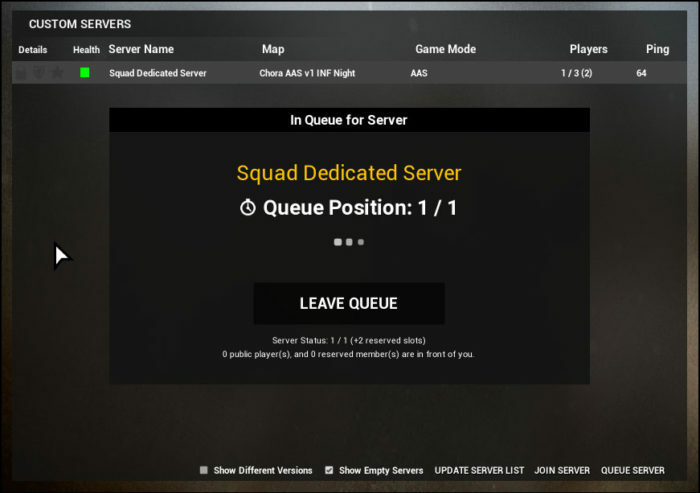 Lastly to address the server browser in general. 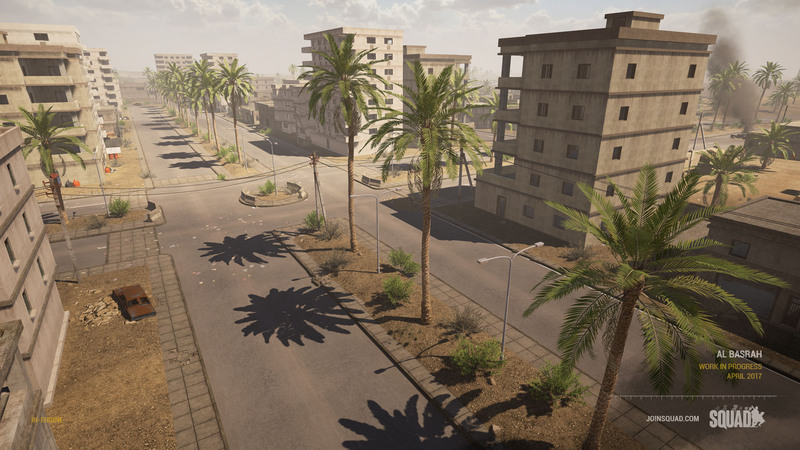 There are fixes for some of those issues at http://support.joinsquad.com but we will be looking into putting more time into it. 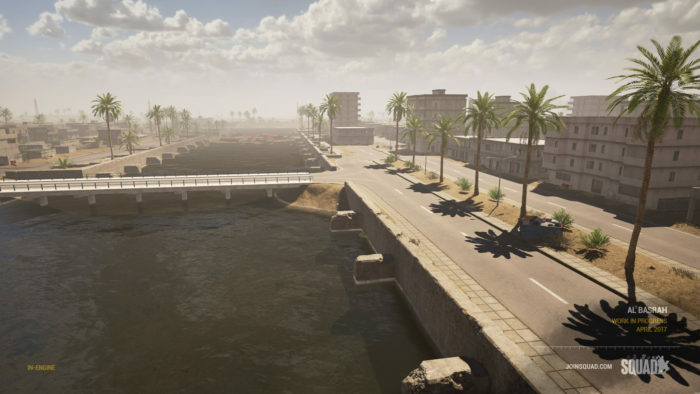 We are very excited to be giving you our modder made urban map Al Basrah! 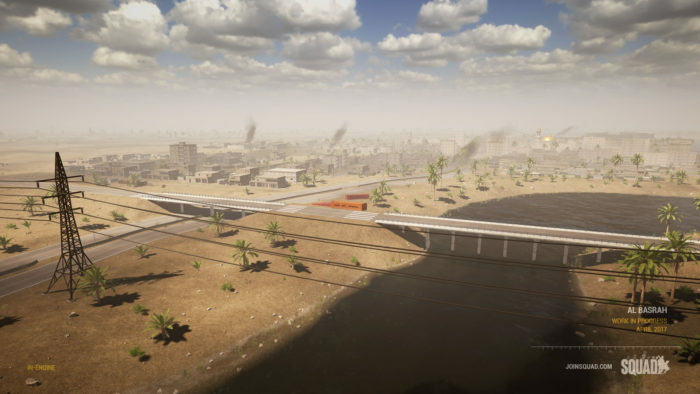 The first truly urban map in Squad it will be the opening salvo in a series of maps we have planned focused around dense urban centers. Al Basrah is unforgiving street to street combat where the US Army is forced to penetrate the dense neighbourhoods and multistoried apartment blocks bristling with AKs and RPGs. 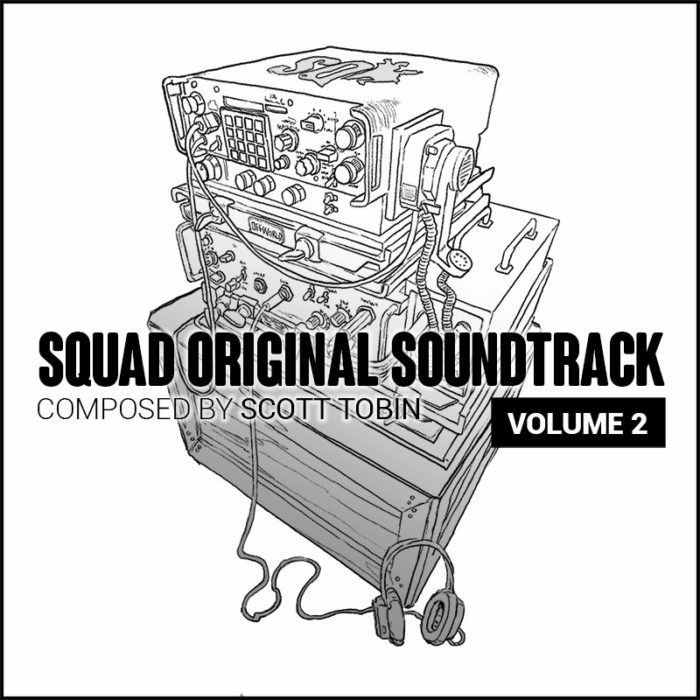 As per our news post last week we will be adding an additional Soundtrack Volume to the Squad music catalog and this will be made freely available to those who already own volume 1. in a few short days. 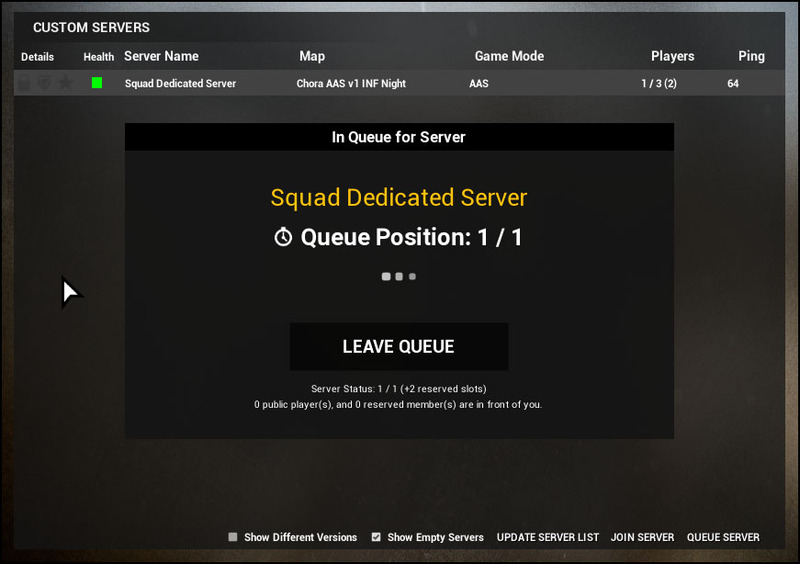 Also we can’t forget our wonderful server partners who are ready and willing to spin up approx 20,000 slots to support our free weekend campaign. 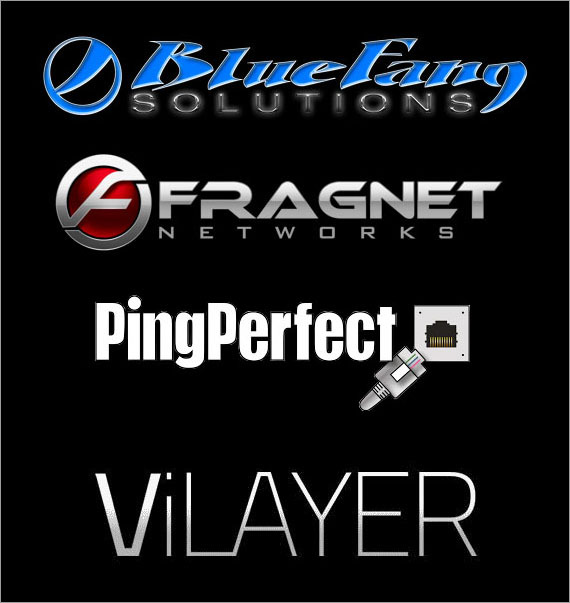 If you are looking for a Squad server we suggest you contact one of the providers below.